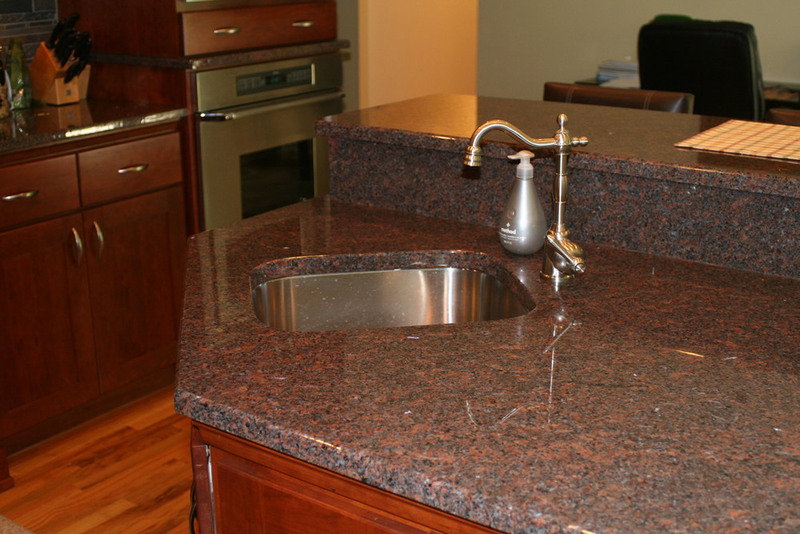 This kitchen renovation project features a slate backsplash with a mosaic design, honed brassblue granite countertop, and a stainless steal chimney hood. 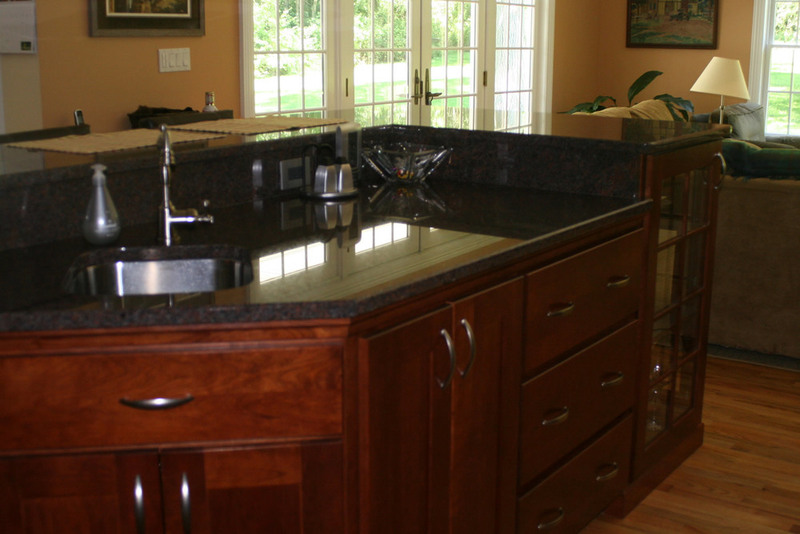 Stop by our Newtown-based kitchen and bath showroom for assistance from a team of experienced and professional kitchen and bath designers! 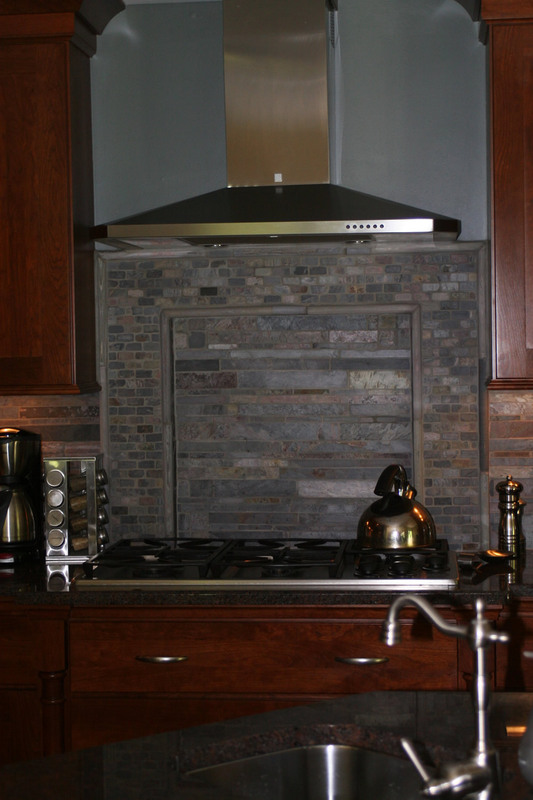 This kitchen renovation features a slate backsplash in a mosaic design, honed brass blue granite countertop, and a stainless steel chimney hood. 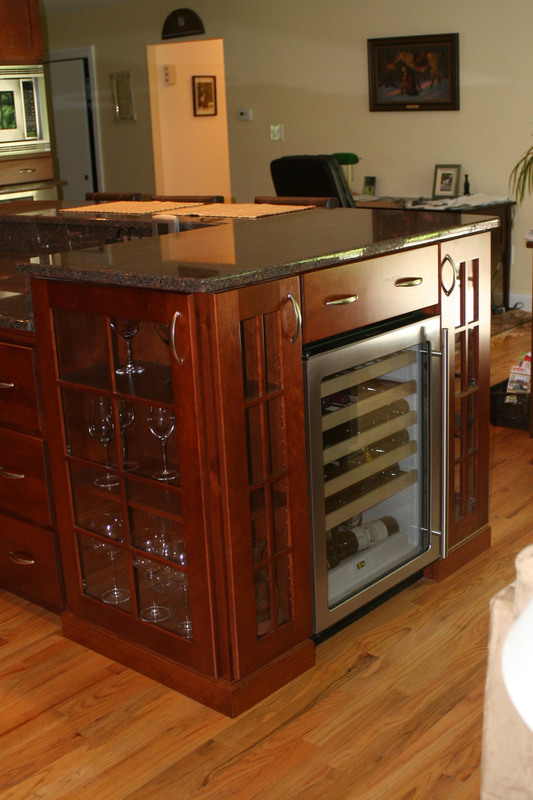 The multi-level island has an additional utility sink and an under counter wine refrigerator.